Maps Mania: Local Websites to Replace Newspapers? The New York Times have an interesting article that looks at the development of 'hyperlocal' websites and surmises whether they will provide a viable alternative to failing newspapers. Three of the four 'hyperlocal' websites they cite in the article, Outside.in, Placeblogger and Patch, all use Google Maps. 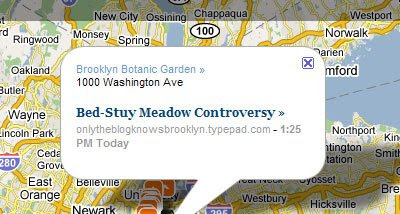 EveryBlock is the only one of the four 'hyperlocal' sites that don't use Google Maps. They decided instead to develop their own mapping platform. EveryBlock explain that the reason for developing their own mapping platform was it gives "more choices and greater flexibility". This means that EveryBlock is able to match their site aesthetics within their maps. The outcome for EveryBlock is a great looking site with maps that have the features that EveryBlock needs. Of course developing your own mapping platform is a highly complex task and isn't an option that many websites can take. I ssupect that EveryBlocks were helped greatly in this task by being founded by Adrian Holovaty who built one of the very first Google Maps mashups Chicagocrime.org. Outside.in is a site that we have featured a number of times on Google Maps Mania. Outside.in use Google Maps throughout their site to show the location of local news stories. Outside.in also have a great Geotoolkit which allows bloggers to create their own 'Story Maps'. A StoryMap is an embeddable widget that lets bloggers organise and present their posts geographically. Using Story Maps you don't need any technical skills as the widget does all the work for you. Placeblogger is another site where you can search for local sources of news, information, and community near where you live, work and travel. The site use Google Maps fairly sparingly just to show the location of towns and cities rather than to geotag every news item. Patch has created local sites for three towns in New Jersey. Patch covers news, businesses, and events within the three communities currently covered and uses Google Maps throughout the site. All local news stories are geotagged and shown on a Google Map. 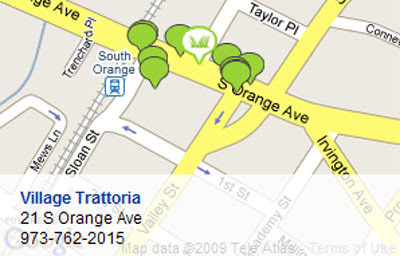 Patch also uses Google Maps to shown the locations of local listings, such as restaurants, schools etc. and to show the locations of upcoming events.